Aim: The purpose of this study was to evaluate the effect of taper on retention of copings in straight and angled implant abutment. Materials and Methods: Totally, 10 straight abutments (Adin Israel) of 3° taper and angled abutment of 15° taper with their analogs were used. Twenty castings were fabricated on the abutment that incorporated an attachment to allow removal. Castings were cemented to abutments with provicol (VOCO Germany). A uniaxial tensile force was applied to the crown using an instron machine until cement failure occurred. 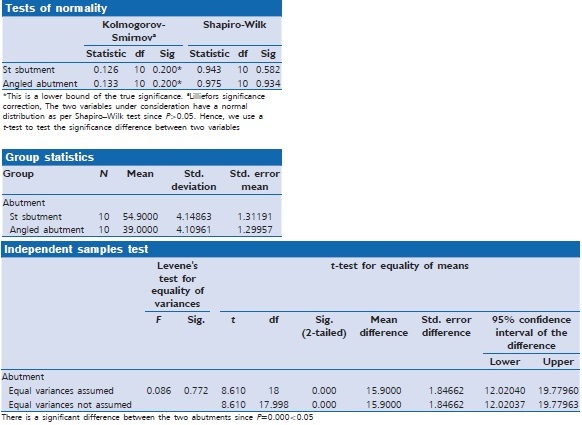 Results: Data were subjected to Shapiro-Wilk test, and it was found that variables have a normal distribution. Hence, Student's t-test was performed, and P value was found to be 0.00 <0.05. Hence to infer significant statistical difference. Conclusion: The retention of straight abutments was significantly more when compared to angled abutment when cemented with provicol. When using angled abutment, permanent luting agent should be the choice for cementation. Aim : To evaluate the influence of implant location on initial retention of palateless complete overdentures retained by four O-rings at different inter-implant distances. Materials and Methods: Totally, 36 completely edentulous participants were equally assigned into two groups (G1 and G2). G1 participants have received four implants, two in the canine region with 32 mm inter-implant distance, and two in the second premolar region away from the anterior canine implants by 14 mm on both sides. G2 participants have received four implants, two in the canine region with 32 mm inter-implant distance, and two in first molar region away from anterior canine implants by 22 mm on both sides. Both groups have received palateless complete implant overdentures retained by four O-rings. Initial axial and para-axial retention of overdentures of both groups was estimated using digital forcemeter, and compared using an independent t-test. Results: Independent t-test revealed that location of dental implants has a significant role in the palateless complete overdenture retention with a level of significance set at P < 0.05. Conclusion: For palateless complete implant overdentures retained by four O-rings, increasing the inter-implant distance between anterior and posterior implants provides a more retentive prosthesis. Background: It has been shown that smoking habits characterize an increased risk for impaired Osseo integration or bone healing and finally implant failure. Purpose: The aim of this retrospective clinical study was to investigate the impact of cigarette smoking and nonsmoking on the bone healing around locking-taper dental implants. Materials and Methods: A retrospective analysis was made over a 4 years and 9 months period of the clinical and radiographic findings corresponding to 54 consecutive patients (34 women and 20 men) who had received a total of 162 implants. Patients were divided into two groups: Smokers, 20 patients (received 72 implants); and nonsmokers (NS), 34 patients (received 90 implants). Smokers were identified as people smoking >15 cigarettes per day. The success and failure cases were evaluated and studied. The data were analyzed using descriptive statistics. Results: Four implants out of 162 implants (2.46%) failed and had to be removed. Conclusions: Within the limitations of this study, the results indicated a high success rate 97.5% (158/162). No real difference in proportion of failure of implant placement both smokers and NS (P = 0.8577). Background: The retention of cement retained implant-supported restorations can be affected different luting agents and abutment types. This is significant because success of cement-retained implant-supported restorations depends on adequate retention. Objectives: The aim of this study was to evaluate the retentive strength of different luting cements of zirconia restorations, performed on short titanium and zirconia abutments. Materials and Methods: Totally, 32 titanium abutments were shortened from 8 to 3 mm in height. Zirconia abutments were produced from this assembly, using a computer-aided design/computer-aided manufacturing (CAD/CAM) system. Zirconia copings were produced using a CAD/CAM system individually for titanium abutments and zirconia abutments. Four different cements were used in the study: polycarboxylate cement, dual composite resin cement, self-adhesive composite resin cement, and implant cement. A universal testing machine was used to test the cement failure load values for each specimen. Results: In zirconia abutments, the highest tensile strength mean value found was for self-adhesive resin cement (367,89 N), followed by the dual-cured resin cement (111,69 N), polycarboxylate (67,17 N) and the implant cement (60,42 N). In titanium abutments, the highest tensile strength mean value found was for self-adhesive resin cement (227,22 N), followed by the polycarboxylate (57,87 N), implant cement (54,39 N), and dual-cured resin cement (53,01 N). Conclusion: In light of the results obtained in this study, the self-adhesive resin cement presented higher tensile strength. Retentive strengths of the same size zirconia abutments are greater than those of titanium abutments. Purpose: The purpose of this study was to evaluate the removal force of cast copings over abutments cemented with 3 dental cements. 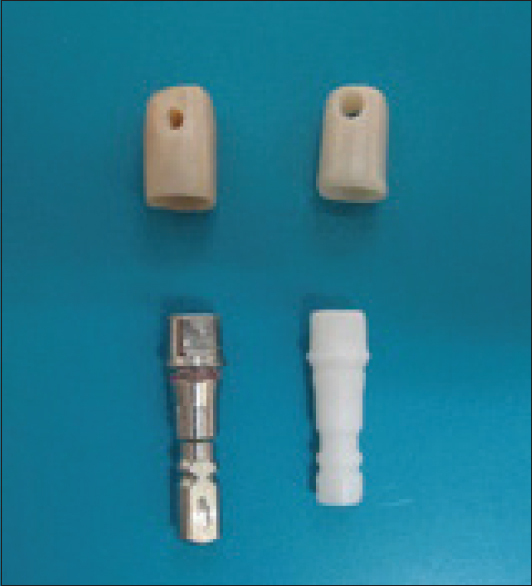 Methods: The experiment used 36 abutments divided into six groups (n = 6) Cast copings with CeraOne cemented with zinc oxide-free eugenol; with glass ionomer; with zinc phosphate and solid 5-mm-high abutments cemented with the same cements wax loops (3 mm in diameter) were made and added to the occlusal surface to allow for tensile testing, and the copings were cast in cobalt-chromium alloy using the lost wax method. The copings were sandblasted with 50-μm aluminum oxide particles to prevent irregularities and cleaned with acetone. The copings were cemented with a 49-N load for 10 min. Subsequently, they were separated with a universal testing machine (Tensometer; Monsanto) at a rate of 5 mm/min until the detachment. The effects of cement and abutment type were evaluated using the means and standard deviations of the loads and were analyzed with ANOVA and the Tukey test (α =0.05). Results: The abutments with a height of 5.5 mm had a statistically significant (P < 0.001) higher tensile strength with a mean of 84.60 N (±8.82) than that of the CeraOne abutments with an average of 36.09 N (±11.66) when cemented with zinc oxide. Conclusions: We conclude that the type of cement and abutment can significantly influence the retention of implant-supported crowns. The results do not suggest that any one type of cement is better than another, but they rank cements in order of retention capacity. Zinc phosphate provided the greatest retention while the eugenol-free zinc oxide provided the least (P < 0.001). Context: Simple low-fidelity process models can be constructed using anatomically similar or analogous materials and can be equivalent to the use of high-fidelity, animal or cadaveric models. Aim s: The objective of the present report is to describe the construction and learning experience of a low-fidelity model for sinus lift procedures. 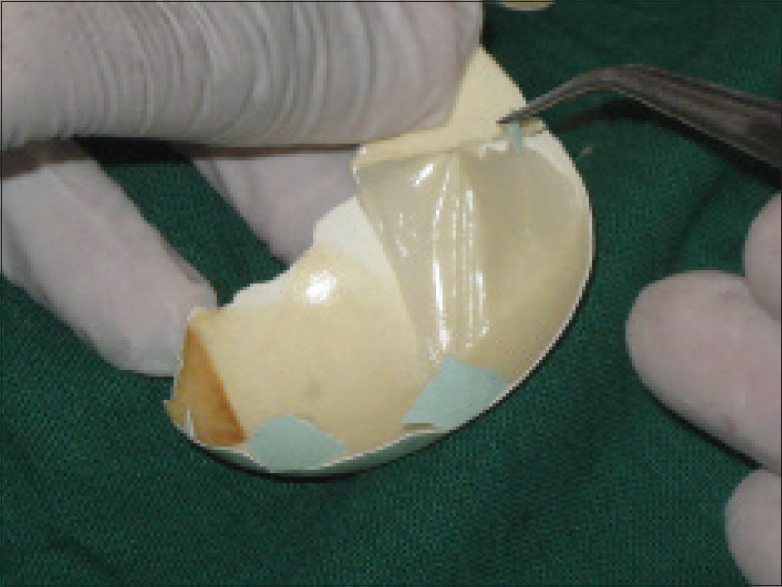 Settings and Design: An anatomic model was constructed using a dried human skull into which, an eggshell membrane (ESM) was affixed to mimic the sinus membrane. 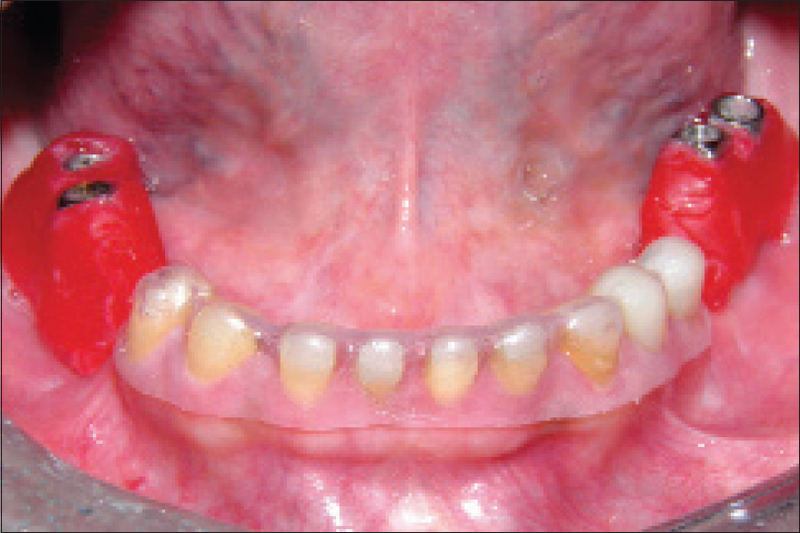 Subjects and Methods: Totally, 17 implantology instructors were asked to perform a direct and an indirect sinus lift technique on each of the two halves of the prepared maxilla. Following the procedure, the participants completed a feedback questionnaire to ascertain their impressions on the characteristics of ESM and the suitability and handling of the model. Statistical Analysis Used: Descriptive data were generated and the Mann-Whitney U-test was used to compare the opinions on direct sinus lift versus indirect sinus lift and validity of the model versus ESM behavior respectively. Results: A majority of the participants felt that the model is an effective educational tool for teaching sinus lift procedures. The participants agreed/strongly agreed that ESM showed a strong visual resemblance to sinus membrane and demonstrated excellent tear resistance during surgery. Conclusions: The model can be used for education on the practical aspects of sinus lift surgery and allows residents to learn and practice sinus lift procedures before they take on real patients. Esthetics has taken a prime position in dentistry today.People are getting more diverged to tooth coloured materials for good esthetics.This article stresses on newer metal free implant materials which have been developed due to increased demand for improved esthetics and biocompatibility along with the preference among the general population for non-metal implant materials. The mechanism of bonding between resin cements and zirconia is still not well defined in the literature. Due to zirconia composition, there is a greater difficulty on these cements in establishing a chemical interaction, conferring a clinical dilemma in modern dentistry. Chemical adhesion, established by resin cements, is the most responsible for the bonding to zirconia when compared to mechanical treatments; which makes necessary the selection of the type of cement. Perform a literature review concerning the adhesion of resin cements to zirconia, emphasizing its advantages, composition, properties, and surface treatments. Elements that help on the adhesion and micromechanics retaining systems are essential to confer a long lasting and resistant bonding. Resin cements chemically activated may be more indicated for zirconia cementation than duo cements. Yet, self-adhesive resin cements promotes adequate adhesive resistance to zirconia. Concerning surface mechanical treatments, the aluminum oxide blaster indicates great efficiency on ceramics decontamination. 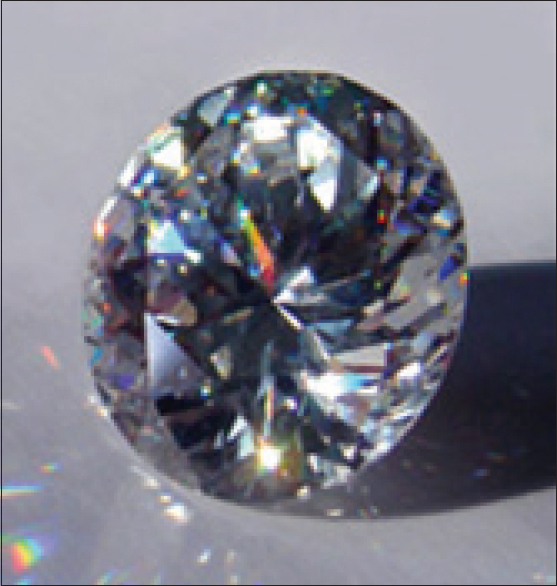 However, to guarantee a greater bonding resistance, some coatings may be used previously to silanization, like the application of silica. Prosthetically driven implant prosthesis assures good aesthetics, function and more importantly hygiene maintenance enabling long time success. Accuracy in treatment planning and implementation of planned treatment is vital for this success. Following advancements that have occurred in treatment planning (virtual software) for implant prosthesis; an equal rise is to be expected in transferring the planned therapy to surgical fruition. In this regard, surgical templates have enabled clinician to deliver predictable surgical & prosthetic rehabilitation. Surgical guides have not only decreased the chances of iatrogenic damage of critical anatomic structures; they also increase the esthetic and functional advantages of prosthodontic-driven implant. Within the constraints of this article, the authors describes an over view of use of surgical guides in clinical situation. If clinician is considered a pilot, then surgical guide is his navigator. 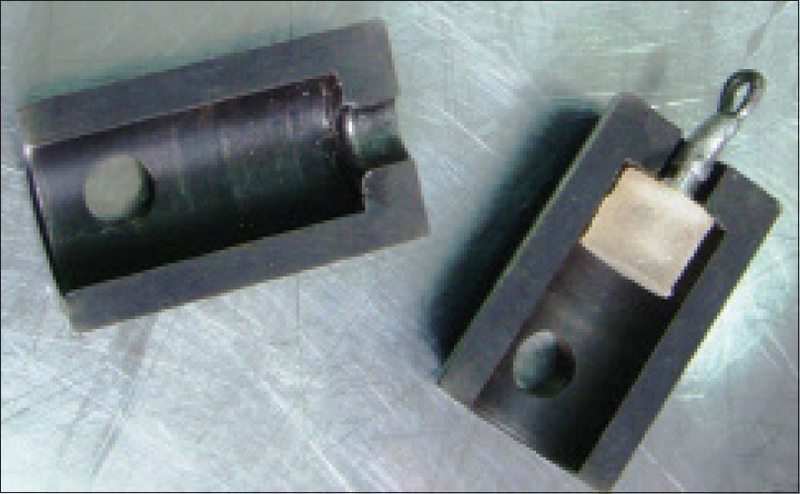 Two-step (spacer used with the putty impression first and then the wash stage) impression technique is commonly used for making impressions in conventional fixed dental prosthesis. Impressions for implant fixed restorations are usually taken in 1-step. 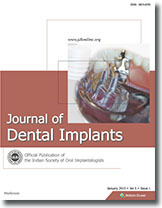 This article describes two-step impression technique for the implant fixed restorations. With the 2-step putty-wash impression technique described in this article, pressure developed on the impression analogues is negligible hence more accuracy and less deformation can be achieved. Increasing attached gingiva around dental implants has beneficial effects in maintaining health and esthetic around the implants. Palatal incision, partial thickness flap and finally apical repositioning the elevated flap is the solution. In the case that the reflected flap is full thickness, such as the need for osteoplasty in the buccal bone or removal of internal fixative devices (screws or miniplate) then preventing the coronal movement of the flap is difficult. Bone suture that is creating a hole in the bone for fixing soft tissue to it is beneficial. 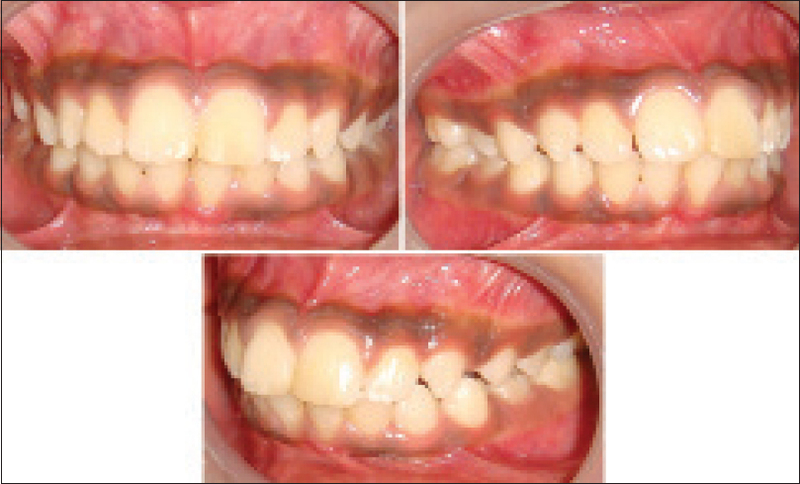 Tooth agenesis is one of the common developmental dental anomalies in humans. 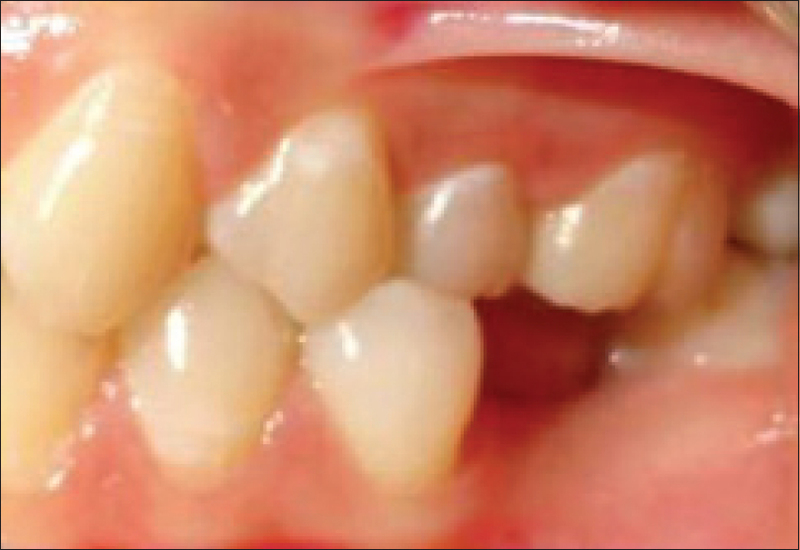 Incidence of congenitally missing maxillary lateral incisors is approximately 1-2%. A multidisciplinary treatment plan needs to be executed for such cases. 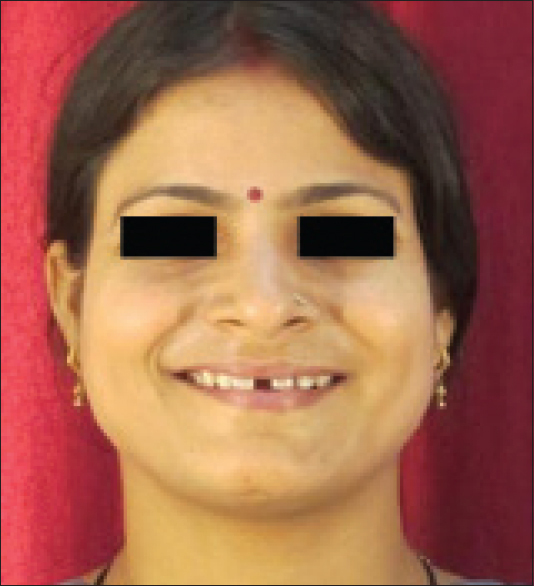 This article presents a case report of a young female with bilateral missing maxillary lateral incisors. The problems anticipated in this case were unequal space available for replacement of teeth, bony depression on the labial aspect of left maxillary lateral incisor, high labial frenal attachment causing a pull and lack of interproximal papillae with flat gingival architecture. Prosthodontically driven orthodontic treatment, followed by implant placement along with periodontal considerations was the chosen approach. Use of well contoured implant supported provisional restorations for creating the missing interproximal papillae and emergence profile is a simple, convenient and economical method making it a desirable treatment option to meet with the challenging esthetic demands in maxillary anterior region. The success of osseointegrated dental implants has revolutionized dentistry. A healing period without early loading is currently still considered a prerequisite for implant integration. The aim of this case report was to assess the soft and hard tissue changes around the dental implant after delayed loading in a D 3 type of bone and thereby evaluating its success rate. Necessary documentation and investigation have been done. An implant was placed in a D 3 bone using standard surgical protocol. After an ensured healing of soft and hard tissues, the prosthesis was placed after 4 months. Peri-implant evaluation was done at intervals. At the end of 1 st year, the implants satisfied the criteria for the success rate. Thus with regards to implant survival in less dense bone, higher success rates can be achieved with aseptic and atraumatic procedure with delayed loading and appropriate postoperative care along with a consistent supportive periodontal therapy. Although a number of approaches to implant-supported restoration of severely atrophic maxillae and mandibles have been developed, most of these treatments are costly and protracted. An exception is the all-on-four concept, which uses only four implants to support an acrylic, screw-retained provisional prosthesis delivered on the day of implant placement, followed by a definitive prosthesis later on. The present article describes about full-arch rehabilitations using implants supported prosthesis by "DIEM 2/all on 4" technique. This is an innovative technique that allows for immediate function, full arch implant-supported prosthesis without the need for any bone grafting procedures even in atrophic situations. 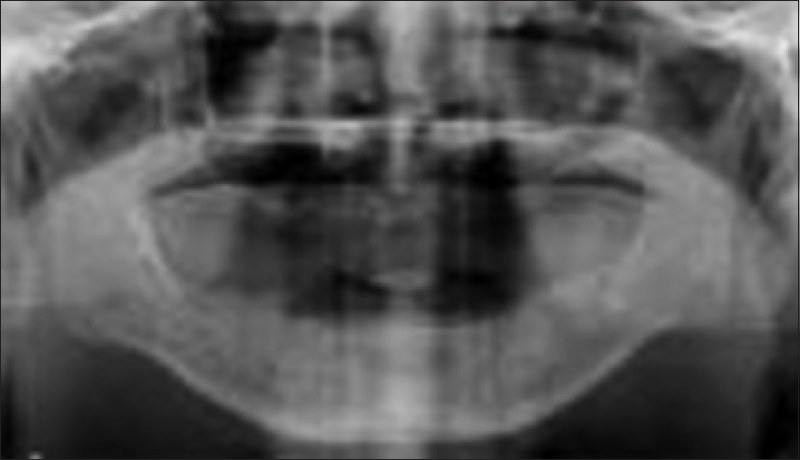 In this technique, four implants are placed in the anterior region of the jaw between the two mental foramina in the mandible and between the mesial walls of maxillary sinus in the maxilla. The two anterior implants follow the jaw anatomy and the two distal implants are tilted at 45° angulation posteriorly, this arrangement allowed for good implant anchorage, short cantilever length, and large inter implant distance thus favoring fruitful outcome of the treatment. Few options for functional recovery using residual dental implants are available after removal of disintegrated implants. 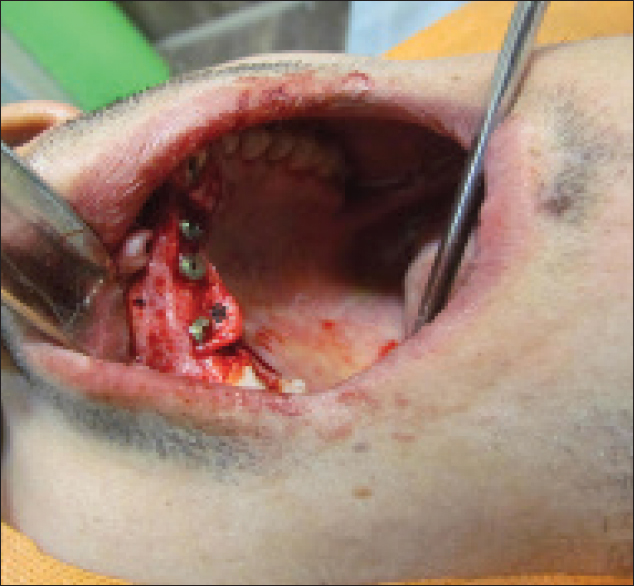 This report describes the application of a maxillary implant-supported removable partial denture (RPD) retained by a unilateral milled-bar-magnetic attachment combination fixed to the remaining two implants as an alternative for functional recovery without surgery. A custom milled-bar with keepers was fixed to the two remaining unparallel unilateral implants in a 78-year-old woman who visited our department after dental implant treatment. Although 2 of the 4 initial implants were lost, additional surgery was unfeasible; thus, a magnetic RPD with a clasp on the ipsilateral second molar was placed. Peri-implant infection and bone resorption did not occur in the 4 years after implant-supported RPD placement. 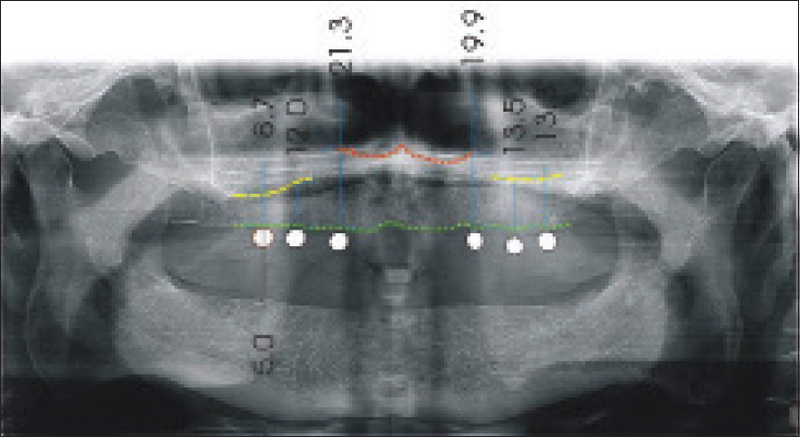 In the present case, a custom milled-bar-magnetic attachment and a clasp combination have been effective for retaining an implant-supported RPD even with an inadequate unilateral design. Implants have revolutionized the field of orthodontics by providing infinite or absolute anchorage. This new treatment approach has widened the therapeutic possibilities of orthodontic treatment. 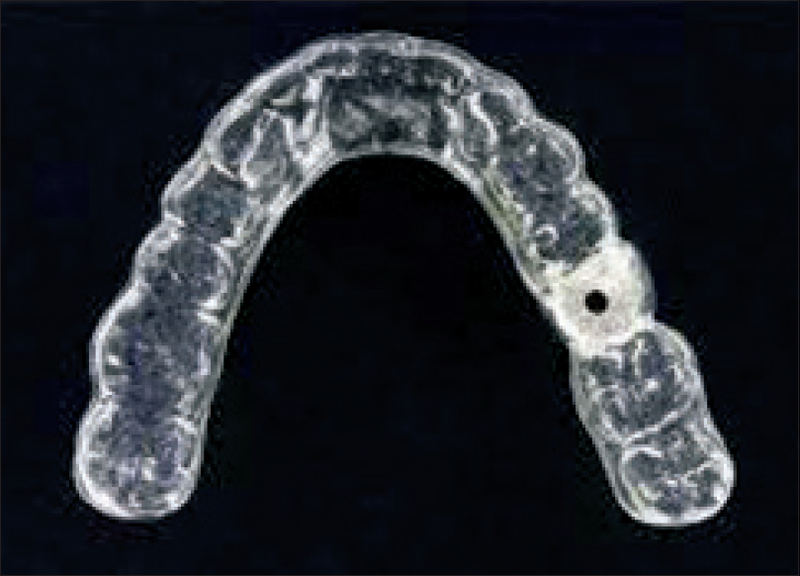 The science of biomechanics remains a mainstay of clinical orthodontics. The biomechanical variations with force application are significant when comparing conventional and mini-implant orthodontics. In order to fully exploit the potential of mini-implants, adequate knowledge of biomechanical principles and their modification in relation to mini-implants is imperative. 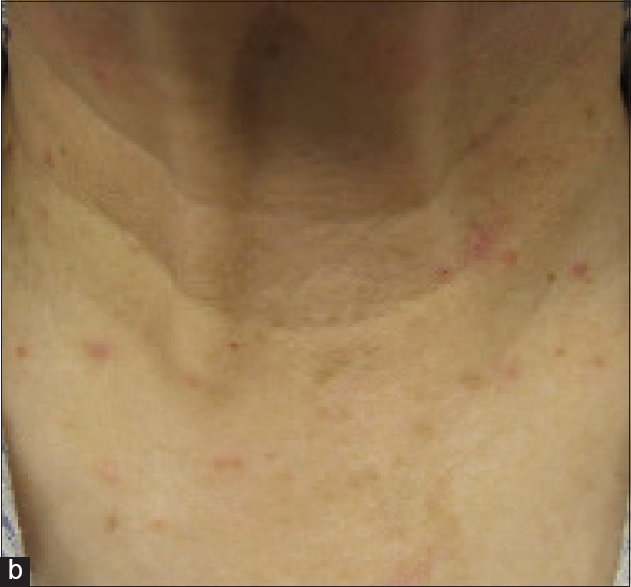 This case report presents extraction space closure with temporary anchorage devices and describes biomechanical variations required in different clinical scenarios.